It had to happen. 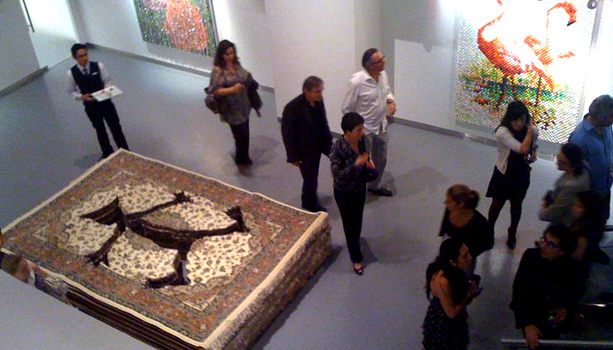 This work by Iranian artist Farhad Moshiri sacrificed a pile of carpets in the name of art. For contemporary art to be iconoclastic (see the work of Ai Weiwei, for example) it has to be original. Not this time! Judge for yourself, here. This entry was posted on May 20, 2011 at 10:15 pm and is filed under In Perspective. You can follow any responses to this entry through the RSS 2.0 feed. You can leave a response, or trackback from your own site.